Yorkshire, U.K. 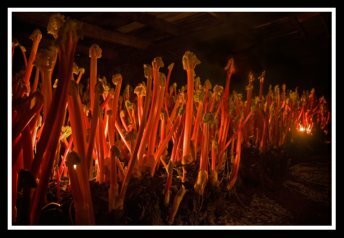 Forced Rhubarb is grown in sheds and harvested by candlelight producing elite red rhubarb. Yorkshire Forced Rhubarb is considered to be an elite food. 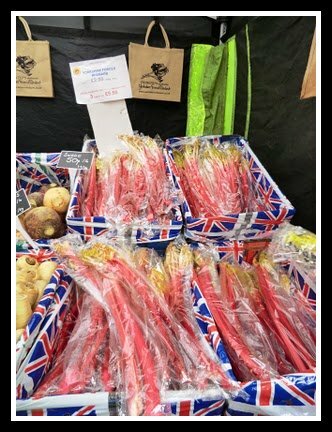 When you see the amazing "red" colour, tender stalks, and sample the delicate flavour of the forced rhubarb, you are not surprised why it is considered "elite". According to an article from dailymail.co.uk (MailOnline), it has been given special status among Europe's elite foods. Cornish clotted cream, and Champagne are examples of other foods in this category. After years of petitioning its producers have been granted Protected Designation of Origin status by the European Commission. 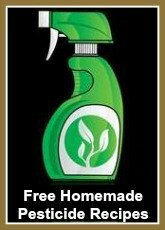 It is the 41st British product get the legal protection. 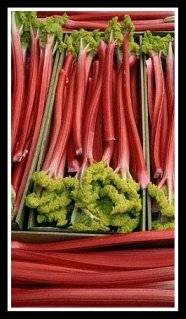 Forced rhubarb is grown by only 12 producers in West Yorkshire in damp, dark sheds, and harvested by candlelight in mid-winter. Forced rhubarb has a more delicate flavour, tender stalks, and red colour than varieties of rhubarb that are grown outdoors. It is considered to be superior to rhubarb harvested outdoors. Forced rhubarb begins by transferring rhubarb crowns, or roots, (that are usually at least 2 years old), from fields into sheds, heated to about 26°C or 79°F. The crowns are not dug up until they have been exposed to a certain amount of frost. Photo (above) courtesy of dailymail.co.uk/news - The Rhubarb Forced in Growing Sheds, and then harvested by Candlelight. The fields from which the roots are being removed have been treated with manure and "shoddy" (a waste product from the wool industry which is rich in nitrogen). This is done to ensure the best possible soil quality for the rhubarb. The roots are then hosed down, and packed tightly on the growing shed floor and kept in absolute total darkness. The warmth of the shed makes the rhubarb begin to grow. The darkness in the growing sheds keeps the shoots pale and tender. Light (causing photosythesis), would cause the fibres to toughen, and the flavour to become more acidic. After being in complete darkness for about 6 - 9 weeks, the rhubarb crop is harvested by candlelight. 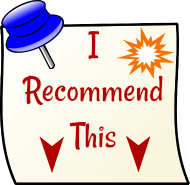 Are you interested in Forcing Rhubarb from your garden? A popular Festival, the Wakefield Rhubarb Festival, celebrated every year in February, includes the sale of this elite, delicate, beautiful red rhubarb, as seen in this photo (below). If you visit Yorkshire you may be able to get a tour of the rhubarb sheds which house the forced rhubarb! 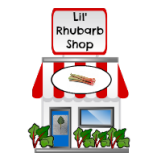 If you want to read more about the "elite" status of rhubarb in the U.K., visit this link.